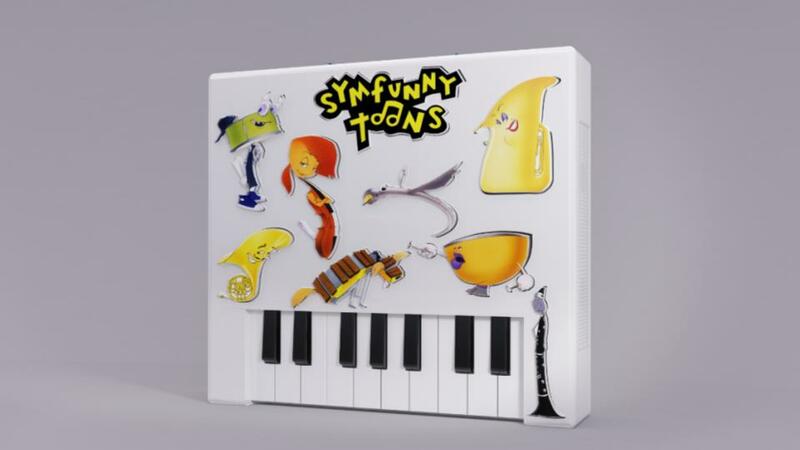 The Symfunny Toons 2 in 1 Music Maker and Symphony Soother is a wirelessly controlled music player that brings music to life while helping baby with the critical task of drifting off to sleep. By downloading the iphone or android Symfunny Toons app you will be able to wirelessly access your entire music library and share the music you love and cherish with your baby. In addition, you’ll have exclusive access to music tracks and soundscape soothers created and curated for babies by experts in music and childhood development. Our unique mobile platform will let parents react to baby’s changing needs and adjust the volume, light, and sound without entering the room and interrupting their sleep.